Been a fan of the podcast for a while and had to give this a shot. Fun, nerdy, and positive stand up that leaves you feeling good. I really love Texts From Superheroes, enjoy the Talk From Superheroes podcast, and watch Andrew & Diana’s YouTube channel on occasion (used to watch the Flash recaps a ton). The stand up act was new to me - Andrew doesn’t get to Pittsburgh often - so I preordered this when Andrew mentioned it on the pod. I’m glad I did! It’s nerdy, and a little awkwardly charming, and funny, and relatable, and all kinds of awesome. I enjoyed this a ton, and you should, too! Keep it up, Andrew! 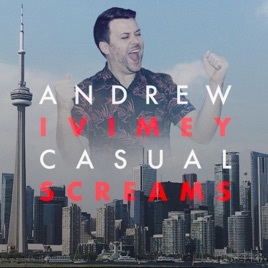 I’m a big fan of the Talk from Superheroes podcast and ever since I heard Andrew was a standup comedian I wanted to hear his act. Luckily I dont have to wait anymore, it’s every bit as relatable and nerdy and charming as I ever hoped.